When we think about an innovative company, Apple is now one of the top 3 that come to our mind. Apple bewildered us with its ability to anticipate client needs and launch disruptive innovations faster than the competition with unique ergonomics and client experience. Yet, their R&D spending is not among the largest. However, a recent trial against Apple concerning the iPod revealed the mystery: Apple used the “outside-in”, “open innovation” principle. The iPod original idea did not come from Steve Jobs or its researcher’s brilliant minds. The original concept is Kane Kramer’s adopted baby. This English inventor patented the designs and concept of the iPod in 1981 with great detail and astonishing innovations for that time. Unfortunately for him he did not pay for the renewal of the patents. The iPod project started when Steve Jobs met with Tony Fadell, a former GE and Phillips employee who wanted to invent a better mp3 player. 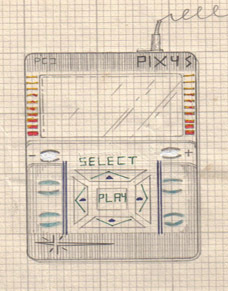 With Apple’s support, Tony Fadell managed to develop a prototype of the iPod after only 8 weeks. He was hired in 2001 as an independent project manager for Apple who would manage a team of 35 people from all backgrounds. The skills were not found within Apple for the most part. In the team, you could find such companies as General Electric, Connectix, WebTV and IDEO (design) for the hardware. The software part was developed by Portalplayer and Pixo under the close watch of Steve Jobs. Thanks to this team of highly specialized and diverse individuals, the iPod was launched in only 6 months! As we can see in this example, one of the key success factors of Apple is its ability to find (outside of the company) the ideas, technologies and skills it needs, and integrate them in its innovation strategy; thus allowing to go beyond its internal innovation capabilities. Thanks to this reflex, Apple today appears as the most innovative company (in the public and top executive’s eyes) while spending only 3.1% of its revenues in R&D (less than half of the average spending of the computer and electronics industry). So should companies now try to focus on coordinating innovational project to launch them as fast as possible? Or, should R&D spending be lowered? The answer must be balanced. For Apple, the Open Innovation principle is just an additional tool that helps to decrease time-to-market. Apple basically focused on its core competencies which were ergonomics, design and the ability to understand clients’ expectations. Creating and patenting innovational concepts and technologies still play and will keep playing a tremendous part in the launch of innovational products or services. However, they are just one of the many subsets of innovation.